Hall of the Mountain King: Review: The Shadow Theory, "Behind the Black Veil"
The brainchild of Devon Graves of Deadsoul Tribe and Psychotic Waltz, The Shadow Theory pulls together a group of excellent musicians that can cover quite a bit of ground. The sound, overall, is a dark progressive metal in the vein of Nevermore, only a little wilder in scope. 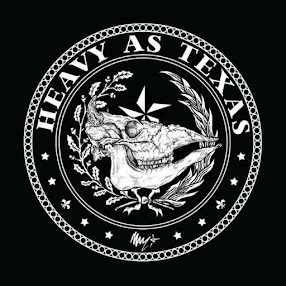 The music draws influence from bands ranging from 1970s arena rock to Dream Theater-style prog to thrash and even a little taste of extreme metal. Album opener “I Open Up My Eyes” gives a quick introduction to the roller coaster you’re about to be caught on. It starts with 45 seconds of white noise, which could easily have been lost, but then rolls into a mix of Nevermore-flavored prog and traditional metal. Graves tries to warble like Warrell Dane at times, but doesn’t quite get there. There’s an interesting, quiet and trippy chorus, a little Mercyful Fate-era King Diamond delivery on the verse, and over the top of it all are these really strange, slightly distorted flute flourishes. It’s odd, but it’s hard to turn away from. In the early going, there are some very strong moments, my two favorite being “Ghostride” and “Welcome.” The first opens with a music box sound before traveling into heavier territory. The climax of the song, however, is one of the coolest moments on the record. It’s an edge of madness piece with a thrashing riff and layered whisper and scream vocals that perfectly convey the nightmare theme. “Welcome” features one of the better acoustic guitar bits on Behind the Black Veil, with a vaguely bluesy feel. It breaks into a heavier guitar riff that still bears some of the characteristics of the acoustic piece, and the song features one of the more memorable chorus hooks on the record. The other two songs on the first half of the record, “The Sound of Flies” and “By the Crossroads” are both solid pieces. “The Sound of Flies” reminds me a little of one of Lillian Axe’s more progressive moments, while “By the Crossroads,” after a power metal-ish opening, takes on a King Diamond feel. The break comes with the Led Zeppelin-influenced “Selabrate.” Perhaps the most straight-forward piece on the record, it features some folksy acoustic guitar work and a 70s vibe that slips almost to disco in some of the synth work. Overall it sounds a little poppy and out of place among the darker tunes. “Snakeskin” is the best moment in this group of songs, though it’s a bit too over the top and melodramatic. I like the dark whispering vocals about a minute in and the strange Beatles-like interlude toward the end. The creepy “Sleepwalking” and symphonic “The Black Cradle” are not bad songs, but just aren’t very memorable. “A Candle in the Gallery,” though, is kind of a head shaker. It opens with bongos, flute and acoustic guitar, and reminds me of one of those stereotypical beatnik poetry sessions where someone’s playing a bongo in the background. The vocals here are so overly dramatic that it makes it kind of unintentionally funny to me. The band closes the record on a positive note with “A Symphony of Shadows.” It’s very cool from a musical standpoint, blending Queen-style theatrics with modern power and prog, and even pulling in some harsher influences, including a nod to the more accessible end of the symphonic black metal spectrum. Graves’ vocals veer a little over the top again during the Queen influenced moments, and the song really tries to do a little too much, but for all that, I really like it. The music here is about as solid as it comes on the heavier end of the prog spectrum. 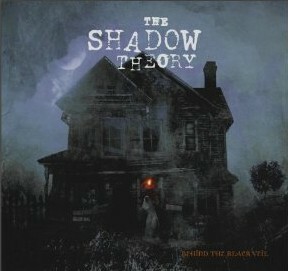 The Shadow Theory is talented, tight and interesting. If not for those few less-than-memorable tunes on the latter half of the record, I’d say Behind the Black Veil was a solid early contender. As it is, it’s a great start to my 2011 listening. This review first appeared at Teeth of the Divine. A review copy of this album was provided by the label.